Tax season is here once again, and while it may be tempting to put off dealing with your taxes until we get a little closer to the April 15 deadline, you're usually better off filing your tax return as soon as possible. Yes, you'll get it out of the way sooner, but there are a number of other benefits to filing early that you may not know about. Here's a look at some of the most important. 1. You'll get your tax refund sooner. For many people, the only thing that may be considered good about filing their taxes is the refund they get when it's all over with. The sooner you file your taxes, the sooner you will get that refund so you can put it toward a large purchase, retirement savings, or whatever else you had in mind. 2. 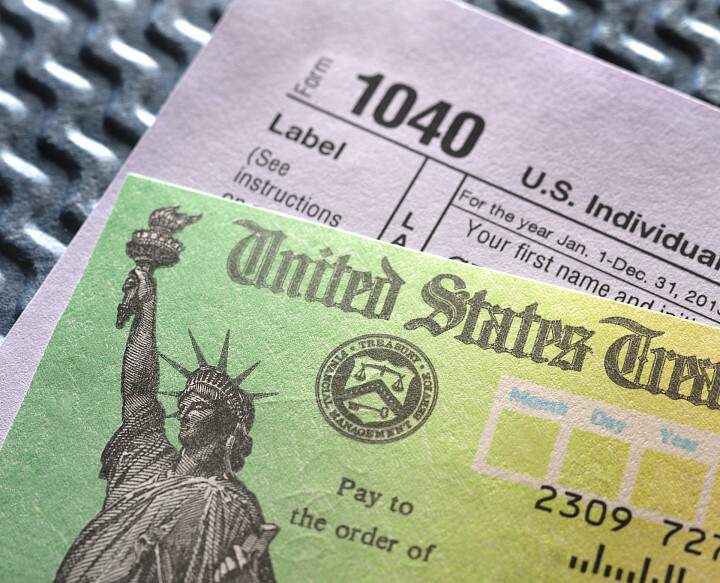 You'll reduce your chances of falling victim to tax identity theft. Tax identity theft is where an identity thief files a fraudulent tax return in your name in order to collect your tax return. This can cause problems when you go to file your real tax return and it may even prevent you from obtaining your tax refund. If the identity thief gets hold of personal information like your Social Security number, they could then go on to open up fraudulent bank and credit card accounts in your name. The easiest way to avoid tax identity theft is simply to file your tax return as early as possible. An identity thief can't file a fraudulent return if you've already filed your real one. If you believe you've been the victim of tax identity fraud, contact the IRS and fill out and send Form 14039. You should also notify the Federal Trade Commission and check your credit reports for any signs of additional fraudulent activity. If you find any, immediately notify the credit bureaus and the financial institutions involved and place a fraud alert on your credit reports. 3. You'll have extra time to save if you owe taxes. It's possible you could end up owing taxes to the government, if you didn't have enough taken out of your paycheck or you're self-employed. It's important to budget for this expense so that you will have enough money to pay what you owe when the time comes. But if you end up owing more than expected, having your tax return ready to go early lets you know exactly what you'll have to do -- and gives you more time to come up with a plan. Even if you file early, you don't have to pay what you owe until April 15. That way, you'll have some time to save a little extra each month until you have enough. 4. It's easier to get help from a tax professional when you need it. Business owners and those with complicated taxes often enlist the help of a tax professional in order to ensure that they're filing their taxes correctly and not missing out on any important deductions. But as it gets closer and closer to the tax deadline, accountants get busier and busier, and they may not have as much time to devote to your taxes as you'd like. When you get ready to file your taxes early, these tax professionals are likely to have a little less on their plates. That way, they'll be able to get your taxes filed quickly and correctly so you can start looking toward the next year. You may not have to file your taxes until April 15, but there are several benefits to filing your tax return as soon as possible. Once you've got all of your tax forms together, all you need to do is carve out some time, fill out your tax forms, and then if you're lucky, wait for your refund to arrive in the mail.